The complete and “charming” (Gourmet) collection of deliciously old-fashioned and deeply satisfying recipes from everyone’s favorite New York City cupcake bakery. 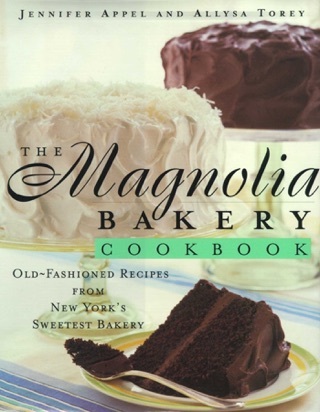 Ever since the original Magnolia Bakery opened its doors in 1996, people have lined up day and night to satisfy their sugar cravings—and this book is Magnolia’s comprehensive guide to making all of their beloved desserts, including their home-style cupcakes, layer cakes, banana pudding, and other treats. 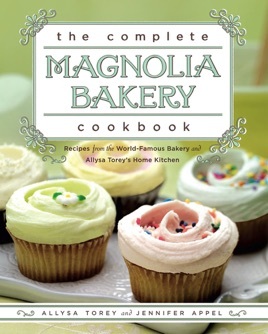 Illustrated with color and black-and-white photographs that capture the daily life of the bakery, The Complete Magnolia Bakery Cookbook shows you how to make their famous banana pudding, sinfully rich buttercream icing and red velvet cake, and dozens more irresistible desserts. The tips alone make it worth it! I use this book at least twice a week, and now fancy myself a baker... At least somewhat. I often make the banana breads and muffins in the morning, as the recipes are simple; I also find (almost!) everything turns out perfectly, even the first time I try!